The US and Britain are not in a position to lecture Cuba on the nature of ‘democracy,’ writes Bernard Regan. Following President Barack Obama’s release of Gerardo Hernandez, Ramon Labanino and Antonio Guerrero, the remaining three of the Miami Five, to join Rene Gonzalez and Fernando Gonzalez back in Cuba there has bee much speculation about the future of Cuba-United States relations. Miami Five are free, now we must end the Blockade! CSC welcomes the return of Ramón Labañino, Antonio Guerrero and Gerardo Hernández to Cuba to join Fernando González and René González. 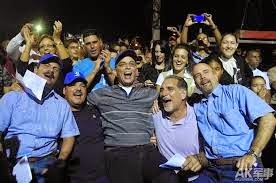 We celebrate along with their families, the people of Cuba, and the international “Jury of Millions” who have fought successfully for the release of these unjustly imprisoned men. CSC is proud to have played a role in publicising the case and winning widespread support here in Britain for the campaign for freedom and justice. We want to thank all those who gave their support and worked tirelessly for this victory, including our members and affiliates, the international coalition Voices for the Five, and the Trade Union movement whose contribution to this struggle has been exemplary. Whilst this will lead to the establishment of diplomatic relations, a general increase in visitors, increased remittance limits and a variety of exchanges it does NOT mean the end of the blockade. Some US politicians have already declared their opposition to Obama’s modest amendments. Some are threatening to block the appointment of an Ambassador to Cuba. The Office for Foreign Assets Control (OFAC) will still be empowered to fine third country companies that trade with Cuba. And the pillars of the blockade – the Helms-Burton Law and the Torricelli Act can only be repealed by Congress, where Obama has no majority. It makes clear that the policy changes are ones of tactics rather than goals – the objective remains the same, to turn Cuba into an economic satellite of United States’ big business and a pawn of Washington. 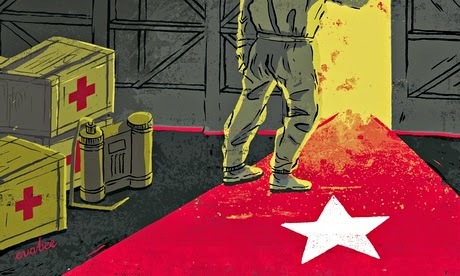 Indeed it is clear from the press statement that the intention of some of the changes is precisely to seek the erosion of the social gains that have been made in Cuba looking to restore the means of exploitation that existed under Fulgencio Batista, the dictator overthrown by the Cuban Revolution of 1959. The Cuba Solidarity Campaign commits to redoubling our efforts to ensure that the British Government moves forward to develop strong diplomatic, trade, scientific and cultural relations between our two countries based on mutual respect and understanding. We urge anyone who is not already a member, to help us fight to end the blockade once and for all, by joining the Cuba Solidarity Campaign today. Aleida Guevara, daughter of Che, assures The Prisma that the communist regime will continue in Cuba, beyond the Castro family. She sees the formation of a United Latin American States as essential, and thinks that at times what we need are more radical revolutions. And to her, anti-immigration policies are absurd. HAVANA (AP) — Cuba had to cover food and lodging expenses for dozens of its doctors fighting Ebola in Sierra Leone after the U.S. embargo delayed payments from the World Health Organization, an official at the U.N. agency said. More than 160 Cuban doctors and nurses arrived in Sierra Leone on Oct 2, 2014, to support local teams in controlling the Ebola epidemic. 300 more are being trained in Cuba at present and will be on their way to Liberia and Guinea in the coming weeks. The worldwide response to the Ebola epidemic has been slow and small. More nurses and doctors are certainly needed, not only from Cuba, but also from other countries. Dr Aleida Guevara - paediatrician, medical mission veteran and daughter of Che - speaking at the University of Sheffield to Forge TV as part of her 2014 speaking tour organised by the Cuba Solidarity Campaign. Watch her speak on issues such as education, the NHS, gender equality, ebola, internationalism and more below. 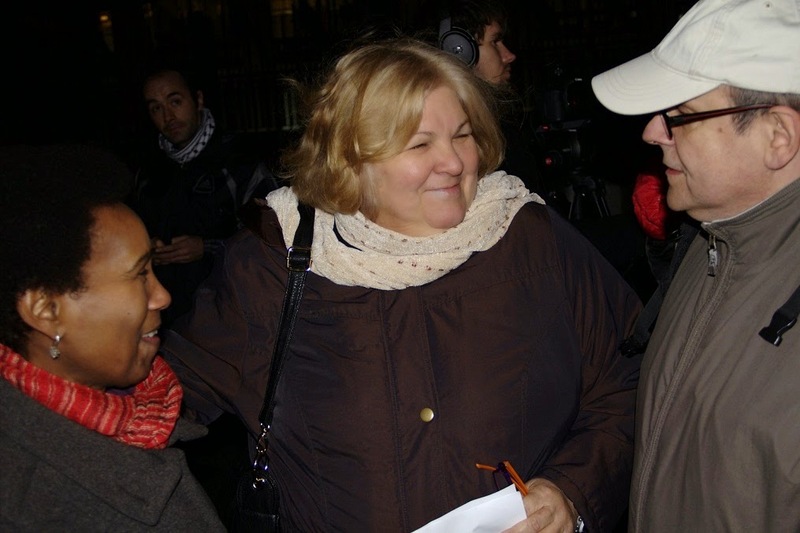 Dr Aleida Guevara - paediatrician, medical mission veteran and daughter of Che - speaking at the University of Leicester on 1 December 2014 as part of her speaking tour organised by the Cuba Solidarity Campaign. Chanting of “Free the Five!”, “Viva Cuba” and “What do we want? Justice! When do we want it? Now!” were heard across West End of London after a crowd of over 300 people braved a cold December evening outside the US Embassy on Wednesday 3 December to attend a vigil organised by the Cuba Solidarity Campaign (CSC) in Britain.